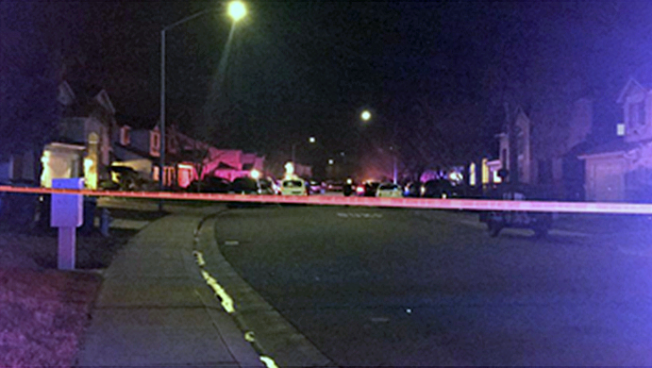 A suspect wanted by San Jose police was shot by officers at a Stockton home Thursday evening, according to police. The shooting happened around 5 p.m. outside a home in the 4500 block of Mist Trail Drive. The suspect was wanted by San Jose police in connection with a carjacking and kidnapping, police said. The suspect was taken to a hospital in critical condition, Stockton police said. His identity was not provided. San Jose officers responded to the home on a tip, requesting help from Stockton police and California corrections officers, police said. When officers arrived at the home, the suspect tried to run away but then ran back inside. After other residents exited the home, the suspect came out brandishing a handgun, police said. A Stockton officer and corrections officer fired their weapons, hitting the suspect. The California Department of Justice and San Joaquin County District Attorney’s Office is investigating the events leading up to the shooting. KCRA in Sacramento contributed to this report.